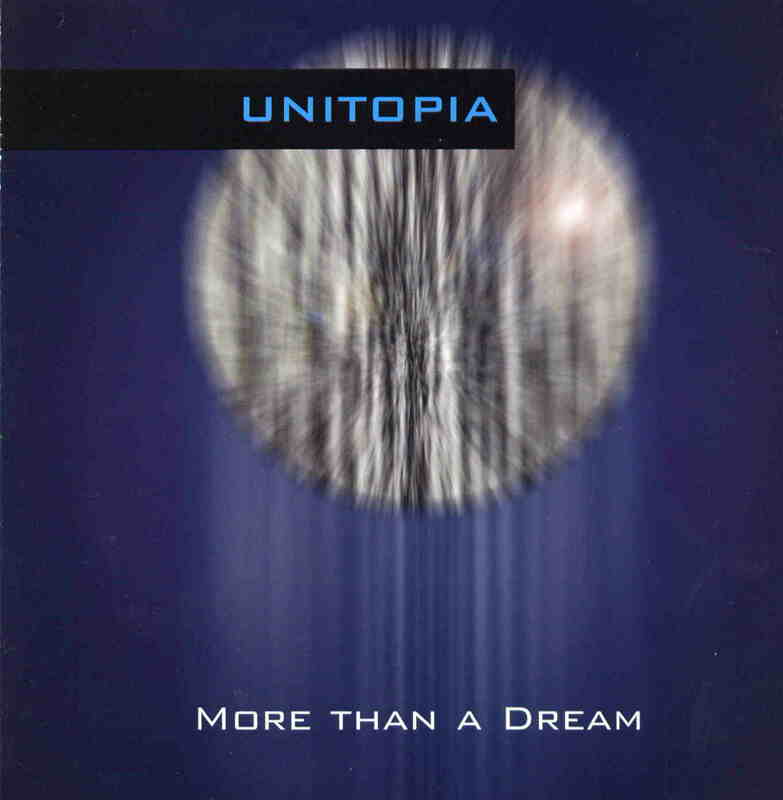 It’s getting to be almost impossible to tell one neo-prog band from another, and Unitopia’s More Than a Dream vividly illustrates why. This Australian duo, with a mammoth supporting cast that includes brass, strings and orchestral arrangements, seemingly borrows its licks and vaguely apocalyptic lyrics from just about any and every prog rock outfit extant from the 70’s onward—and this doesn’t include what appears to be the group’s fervent desire to be the next Moody Blues, complete with the London Philharmonic in tow. As a consequence, one can hear fragments of Todd Rundgren and Rush, Peter Gabriel and Renaissance, Steve Hillage and The Alan Parsons Project, Radiohead and Porcupine Tree in virtually every song on More Than a Dream. Frankly, if More Than a Dream’s production were any slicker, the disc would probably slide right out of your CD player. This is certainly not to disparage the technical virtuosity of either the playing or arrangements on the album—both of which are laudatory; however, rehashing classical and lyrical clichés (as on “Take Good Care” and the title track) serves little or no purpose in an age where contemporary music has evolved beyond the gloss and sheen of superstudio production. Instrumentally, the band is certainly capable of performing with fire and guts: two of the album’s best tracks, “Justify” and “Ride,” demonstrate Unitopia’s ability to occasionally break out beyond the boundaries imposed upon its music by the superficial concern for “sounding” progressive. Hopefully, on future releases the group will curb some of its excesses and faux pas pretensions and concentrate instead on a more streamlined approach to musical diction.